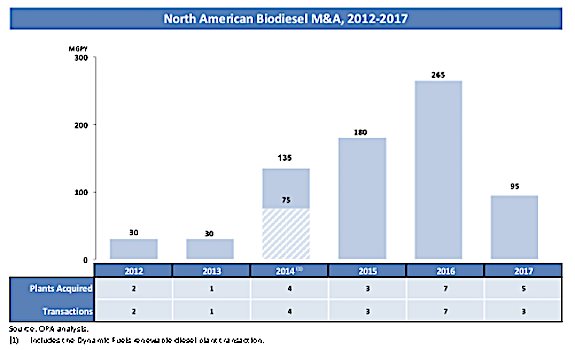 The North American biofuels industry experienced the fewest merger and acquisition transactions in recent history in 2017. There were only six M&A transactions, with a total estimated value of more than $100 million. They involved eight plants with 297 million gallons per year (MGPY) of production capacity. Half of these deals were for non-operating plants. A fourth deal was for a sub-scale demonstration plant. Contributing to the limited deal flow, two historically active acquirers, Green Plains and REG, did not close a deal in biofuels in 2017. Also, ADM’s strategic review of its fleet of dry mill ethanol plants did not materialize into a transaction. The valuation levels of all cited 2017 deals were less than construction costs, underlining the distressed nature of the deals. All of the expansion and new project developments attest to the overall health of the sector and bullish sentiments of owners. Ultimately, established players building more capacity is consolidation through organic growth rather than through acquisitions. Instead of buying plants in 2017, many players focused on expanding the capacity of their existing assets and developing new projects. Ocean Park tracked an estimated 1 billion gallons per year (BGPY) of announced biofuels plant expansions and greenfield projects in 2017, representing 6 percent of industry capacity growth, dwarfing the 297 MGPY of M&A activity. The renewable diesel plant belonging to Valero and Darling, which will add 115 MGPY in 2018. Cargill’s new 60 MGPY biodiesel plant in Kansas. It is unclear why producers decided to build instead of buy new capacity through M&A. One possible explanation is that many of the projects were expansions or co-located, which would drive better economics than buying distant plants. It was also a quiet year for advanced biofuels transactions with only three small deals completed. Butamax, a 50/50 joint venture between BP and DuPont (DWDP), acquired Nesika Energy. The deal included the 10 MGPY ethanol facility in Scandia, Kansas. Butamax plans to add bio-isobutanol capacity to the facility, while continuing to produce ethanol. Once complete, the bio-isobutanol facility will be used as a demonstration facility. Pacific Ethanol (PEIX) acquired the Illinois Corn Processing plant in Pekin, Ill. Pacific Ethanol will add the 90 MGPY facility to its existing Pekin plants. It is worth noting that the deal makes Pacific Ethanol the sixth largest ethanol producer in the US, with 605 MGPY capacity. Mercuria acquired Noble Group’s ethanol plant in South Bend, Ind. As part of a restructuring, Noble is divesting assets. Noble had originally purchased the non-operating plant in 2013. Mercuria is a Swiss-based commodities trading firm with no other ethanol assets in the US. The competitive sales process involved Zeeland Farm Services receiving a $2M termination fee for having its bid topped by Mercuria. Cielo Waste Solutions acquired XR Resources’ High River facility in Canada. 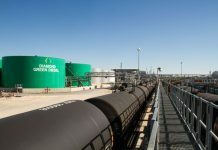 The Canadian waste management group bought XR Resources’ small, non-operating refinery in Alberta. CFFI Ventures/FP Resources acquired BIOX Corp. As part of a financial restructuring, the publicly-traded company, BIOX, was taken private by a family office, CFFI Ventures, and its subsidiary, FP Resources. BIOX operates a biodiesel production facility in Houston, Texas, and two facilities in Ontario, Canada. Western Iowa Energy acquired Agron Bioenergy’s plant in Watsonville, Calif. The Midwest biodiesel producer picked up the non-operating, 15 MGPY biodiesel plant in California. Avantium acquired Liquid Light. 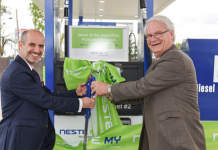 The Dutch renewable chemicals company will use the electro-catalysis technology to create chemicals and other products from carbon dioxide. Green Biologics acquired GreenFlame. 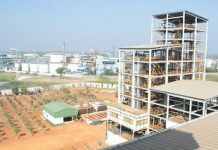 GreenFlame’s bio-based n-butanol assets will help Green Biologics, an advanced biofuels producer, expand into speciality markets. Shell acquired SBI BioEnergy’s technology. The patented technology converts various waste feedstocks into low-carbon drop-in fuels. Regulatory: 2018 starts out with the looming question regarding the extension of the biodiesel Blenders Tax Credit (BTC) that expired at the end of 2016. 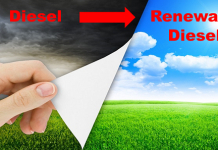 A retroactive extension would be worth a few billion dollars to the biodiesel and renewable diesel supply chain. Elsewhere in renewable fuels policy in the US, there was less change to the RFS2 than industry participants feared could result from the new Trump Administration and new Congress. Ethanol: Like 2016, ethanol margins were fairly robust in 2017, so most owners were content with their assets. Reinvestment in expansions was a key theme. Will owners continue to decide to build new capacity or expand existing plants instead of acquiring assets? 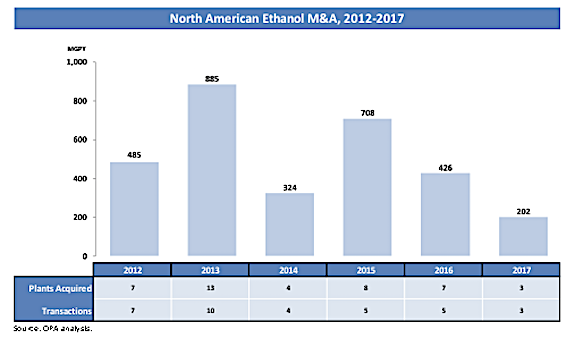 If so, look for 2018 to be another slow year for ethanol M&A. It is possible that some of the non-strategic owners in the industry may at least test valuations of their assets. In the long term, the US ethanol industry is still relatively fragmented, so Ocean Park expects consolidation to eventually continue. There are still 90 stand-alone plants that account for 5.6 BGPY of production, or 35 percent of the 15.8 BGPY of domestic production. Biodiesel: The US International Trade Commission ruling against biodiesel imports from Argentina and Indonesia created an opportunity for domestic producers to replace over 600M gallons of biodiesel imported by those two countries (figures represent full-year 2016). However, the uncertainty of the return of the BTC offsets the potential profitability of the reduced imports. No operating biodiesel plants in the US changed ownership in 2017. The large soy producers view biodiesel production as an integrated component of their soy operations. REG was on the M&A side-lines in 2017. Will they return to buying plants? 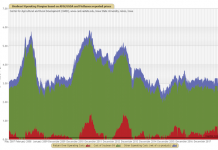 Will international players acquire US biodiesel assets? Ocean Park expects strategic players to be opportunistic acquirers of assets that fit their geography and feedstock supplies. Advanced Biofuel: Oil and fuel prices in their current range pose a challenge for advanced biofuels business plans that require raising capital. There are more exits and unfunded business plans than actual operating plants. One notable exception was Fulcrum BioEnergy’s equity and debt raises during the year. Some of the major oil companies have started to look at advanced biofuels technologies, but it is a low level of activity. Compared to 2017, Ocean Park expects more distressed and divestment transactions in 2018 with maybe a few, cautious new investments to move some of the promising technologies forward. Ocean Park is a boutique investment bank that advises on mergers and acquisitions, financings and restructurings with extensive experience in the renewable fuels, cleantech, food and agribusiness industries. Ocean Park has completed 25 renewable fuels M&A transactions since 2006. Any securities are offered through Ocean Park Securities, LLC, a member of FINRA and SIPC. Ocean Park’s professionals are licensed registered representatives of Ocean Park Securities, LLC. For more information, please visit www.oceanpk.com. Previous articleIs AMSC Ready to Get Back to the Future?